Unique reverse-tooth design produces clean top surfaces with minimal splintering. 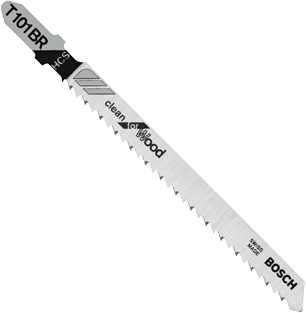 For clean, fast cuts in wood and wood byproducts, countertops, and other visible surfaces. Efficient and economical for professional or DIY users. T-shank design for maximum grip and stability which fits 90% of all current jigsaw makes and models.